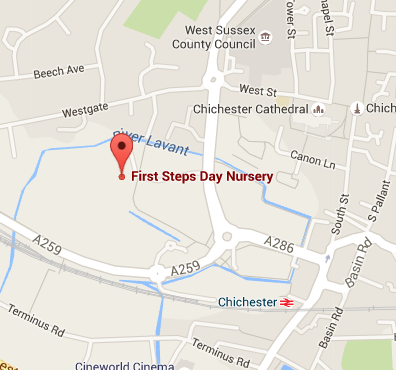 Our nursery is based at Chichester College and it is currently our largest setting . In addition to a fantastic, purpose built space, we have regular access to the college playing fields as well as having our own dedicated nursery garden. 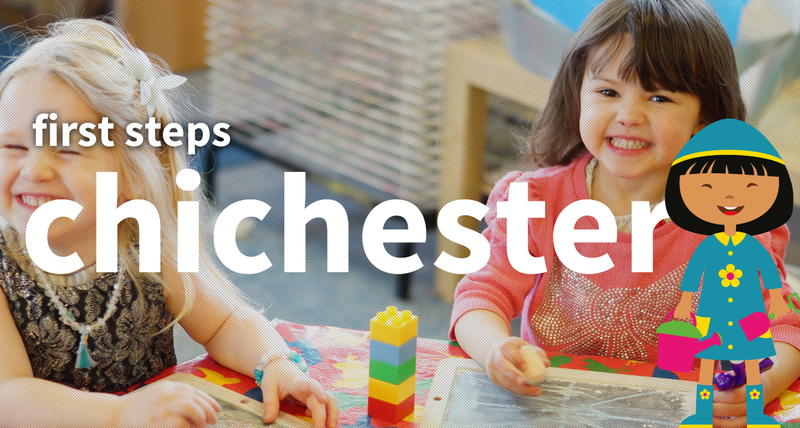 We have an experienced team at Chichester, headed up by Nursery Manager Emma Merriott. Each child has a Key Person who works in partnership with their parent or carer to ensure their individual needs are being met at all times. We have three rooms, split into our 3 Steps, providing care for babies from birth to children ready for school. These dedicated rooms, in addition to our nursery gardens, ensure children are safe, comfortable and stimulated at all times. Each room has a quiet area as well as space for messy play and we have free flow access to the outside. Our activities, aided by a wide range of learning resources, include singing and story time, arts and crafts, games, cooking, imaginative role play, construction, trips around the campus, Forest School and much more. Our in-house Chef prepares delicious, nutritionally balanced food and we provide a hot, freshly prepared lunch every day, sitting together and enjoying the social occasion. We also have healthy snacks throughout the day. We are very proud to have received ‘outstanding’ in every category at our last two Ofsted inspections. First Steps Chichester also houses First Steps Village, a self-contained play village for children aged six and under. 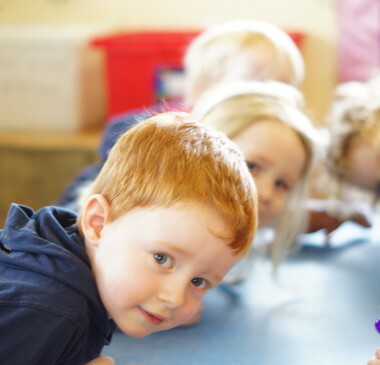 All nursery children have access to the Village as one of our many learning resources, and it is also open to the public on a pay as you go basis throughout the week, on Saturdays and during the holidays. With a café, vet’s, shop, mechanic’s workshop and outdoor farm, First Steps Village is the perfect place for children to explore and enjoy the many benefits of imaginative play, something we really believe in at First Steps. Our nursery is set up to provide separate areas for role play, outdoor learning, messy play and quiet time. We have a dedicated space for pre-school children and resources to support children from birth to 5. We also have a sleeping area for babies and toddlers so we can support home routines. 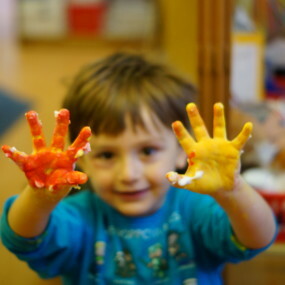 We encourage 'messy' play and have lots of fun. Each room is set up to provide age appropriate, stimulating activities with our wonderful resources. 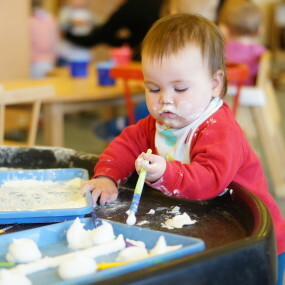 As well as having lots of fun and making lots of mess we are always learning. No one day will be the same at nursery.